The granddaughter of Italy's former dictator Benito Mussolini has warned that she will take legal action against those who speak ill of him. 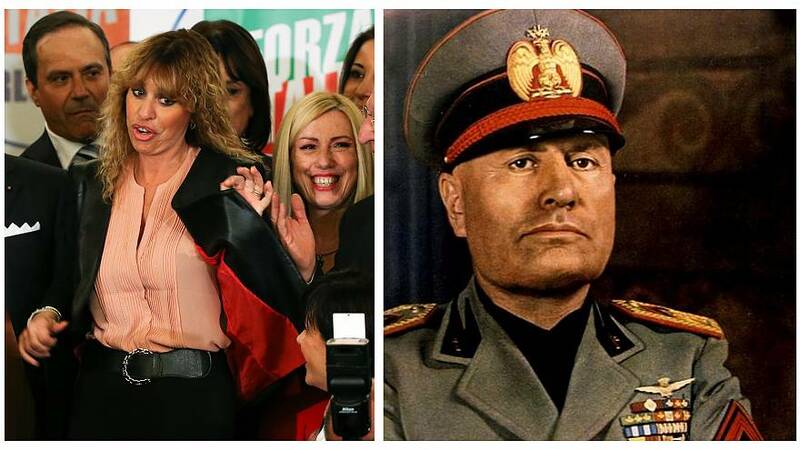 The member of parliament, Alessandra Mussolini issued a warning on her Twitter account on Wednesday reading: "My lawyers will monitor memes and offensive phrases against Benito Mussolini. They will report (the)abuses to the police". The politician who is the niece of actor Sofia Loren, was elected as an MEP in 2014 with Berlusconi's Forza Italia party. But she is now closer to the deputy prime minister Matteo Salvini's Northern League party. Benito Mussolini was the founder of Fascism and leader of Italy from 1922 to 1943. He allied with Nazi Germany and Japan in World War Two. His granddaughter Alessandra recently had a heated discussion with journalist Alan Friedman on the Italian talk show L'Aria che tira. The presenter criticised Mussolini for giving her support to a mayoral decision to exclude the children of immigrants from school canteens. The presenter said he was not surprised by her position as she is the granddaughter of a dictator. Mussolini was furious in response and showed him the middle finger.